If you’re looking for a high-impact project to add appeal to any room in your home, consider replacing or adding baseboards. These floor level decorative additions come in dozens of styles and can be painted to achieve any look imagined. Adding a new degree of visual appeal by installing new baseboards increases the perceived size of a room, as baseboards provide some depth to a traditional 90-degree angle between the floor and walls. These decorative additions are most commonly created with finger jointed interlocking pieces or a single strip of wood. In addition to wood, baseboards are also available in materials like composites and flexible rubber. Bare walls don’t tell a story; appointing walls with art and installing baseboards creates a unique visual display once found in only the most exquisite of estate rooms. Bringing this elegance to your own home is easy to manage, self-installation is a breeze with step-by-step instructions resulting in a high-quality finish once completed. Leave the guess work to us – we’ll help you select the most appropriate style and color to match your rooms. Adding baseboards to your home’s walls demonstrates an attention to detail your family, friends, and guests will all appreciate. 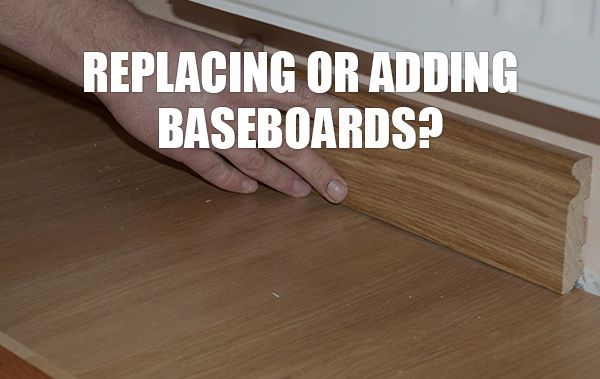 The baseboard itself creates not only a visually appealing connection from the wall to the floor, but also covers any unsightly joints which occur when carpet or flooring is installed with low precision and care. Interested in having new baseboards to add depth and dimension to your home? Stop by or contact our team of professionals at ASA Builders Supply today to learn just how easy it is to go from concept to completed project in just days!